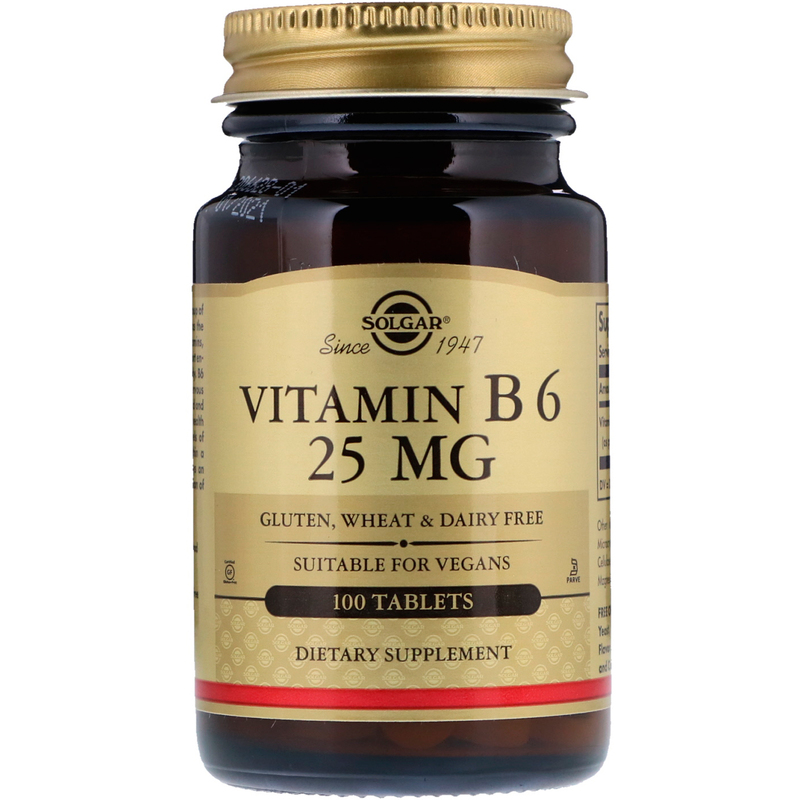 Vitamin B6 is part of the group of essential nutrients known as the B Complex. B Complex vitamins, including B6, work to support energy metabolism in the body. 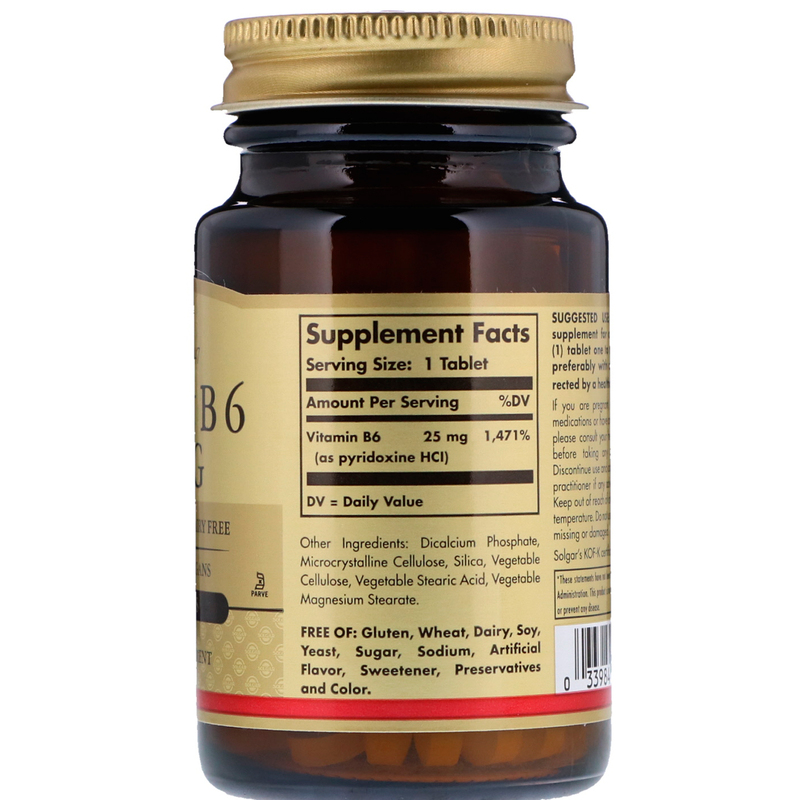 B6 helps maintain a healthy nervous system. Along with folic acid and B12, B6 promotes heart health by supporting healthy levels of homocysteine already within a normal range. It also plays an integral role in the production of red blood cells. Dicalcium phosphate, microcrystalline cellulose, silica, vegetable cellulose, vegetable stearic acid, vegetable magnesium stearate.